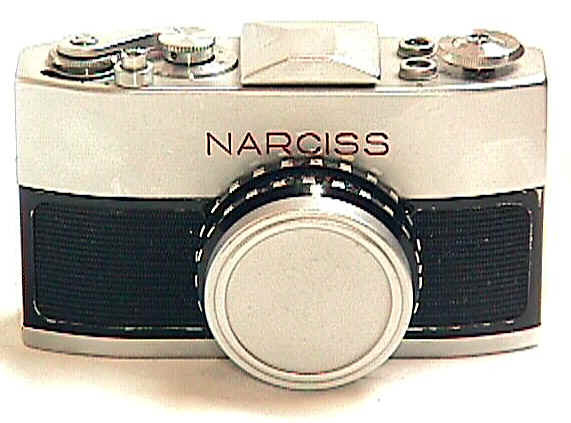 The Russian made Narciss of the early 1960's may be the first 16mm SLR. During the cold war it was extremely rare in the Western world. Now a few more have surfaced, but it is still rare. 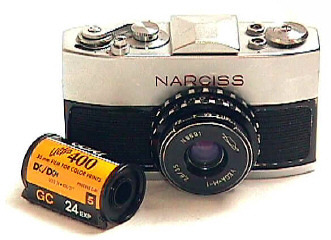 The Narciss uses standard 16mm film in special film cartridges for up to 24 exposures in a 12x19mm format. 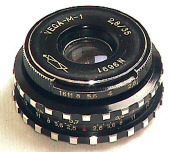 Shutter speeds for its 35 style focal plane are 1/2 to 1/500th. The mirror returns to viewing position as you advance the film. With its fixed take up spool, the film is rewound into the cartridge just like 35mm. Styled like a small 35, it's a very cute little SLR. 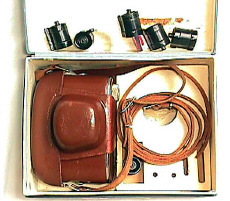 With interchangeable screw mount lens, the most interesting accessory was an adapter allowing the use of Leica screw mount lenses. I know of four variations: black and white leather, with "Narciss" in Russian or English style script. 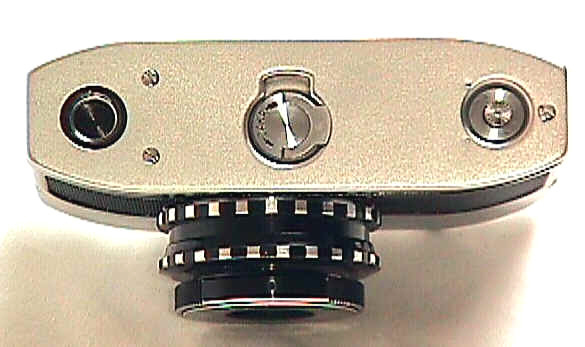 The shutter dial rotates while firing like the old Leica screw mounts shutter dials. Although the top plate is so flat it would seem to possibly have a mirror finder, it does have a small pentaprism system. I'm told a 28/2 and a 50/2 were also made, though I have never seen them. 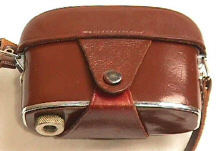 The small camera case is styled like a 35mm and is of quite high quality. 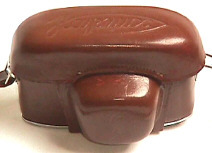 Very well thought out and designed, it's unfortunate the camera does not have a better fit and finish. The rough film advance and chrome finish reminds me of its big brother Zenit -- OK but not great quality. The Narciss lived on, at least in concept, in the much better made Pentax 110.